When it comes to gaming, it’s all about the immersion. And one of the best ways to completely immerse yourself in the latest and greatest titles is by using a gaming headset. They’re invaluable for accentuating each and every explosion, battle cry, and dramatic beat. Many gamers mistakenly believe that a quality headset is going to cost them quite a bit. That couldn’t be further from the truth. 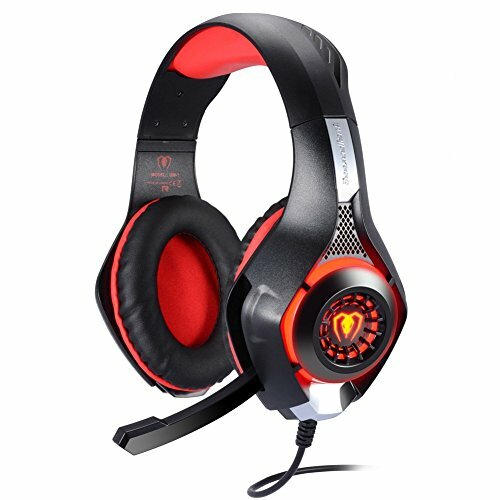 There are all kinds of high quality gaming headsets available to you that won’t break the bank. We’ve gone ahead and tested a wide variety of them in order to find the cream of the crop for you. The end result of our testing is this list of the best gaming headsets under $100 of 2018. While all of these gaming headsets vary in price, they all share one thing in common – they’re all high-quality headsets that work wonders when it comes to making your gaming sessions as immersive as possible. 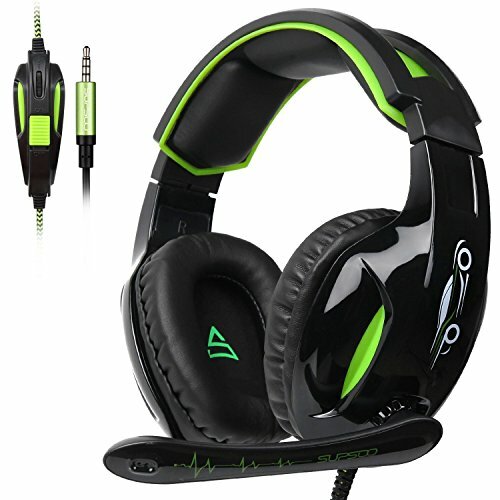 Why should I consider purchasing a gaming headset? Do I really even need one? What’s the difference between stereo and Surround Sound in gaming headsets? What’s the most important factor to consider when buying a gaming headset? 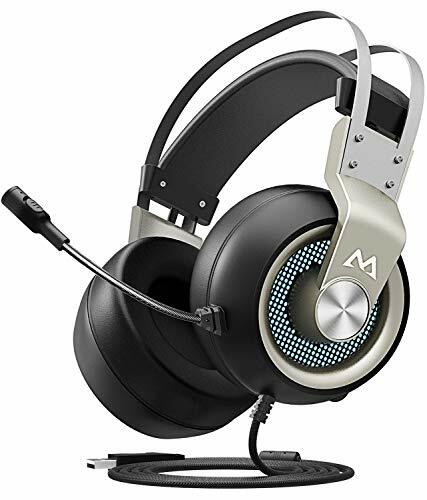 Kicking off our list is the Mpow EG3 Gaming Headset. It’s compatible with both the PS4 and your PC, offering 7.1 virtual Surround Sound to fully immerse yourself in your favorite gaming worlds. On top of that, the EG3 is regularly on sale as well, meaning you should be able to find a pair for well under $100. The EG3 is multi-platform compatible (sorry Xbox and Nintendo gamers, it won’t work for you due to the USB port) and offers 7.1 virtual Surround Sound. Featuring advanced 50mm drivers and a comfortable lightweight metal design, the headset also comes equipped with a noise canceling microphone and easy to adjust fingertip volume control. For being such an affordable headset, we were blown away by just how good the sound quality was with the EG3. Not only was the audio quality top notch, the noise-canceling mic also works incredibly well. We noticed that there could be some static feedback when adjusting the volume on the headset, which was especially jarring when you’re in the middle of a competitive game. Next up on our list is the Corsair Void PRO Gaming Headset. Featuring a USB port, this is another great budget option for PC and PS4 gamers. Corsair are well known for developing extremely high-quality headsets that are built to last, and the Void PRO is no exception. Offering incredibly high sound quality with a comfortable design, you can’t really go wrong by choosing this headset. The Void PRO is made with microfiber mesh fabric and memory foam ear cups for maximum comfort. It’s also built to last with a design featuring metal structural components and glass fiber infused plastics. The unidirectional microphone has an LED mute indicator that helps to reduce ambient noise while the custom tuned 50mm neodymium speaker drivers offer a terrific audio quality. The simulated 7.1 Surround Sound that’s output by this headset is incredibly good for the price that you pay for it. We were seriously impressed with both the audio quality of the Void PRO and with how incredibly comfortable the headset is to wear. The noise-canceling mic leaves a lot to be desired in all honesty. It’s actually a rather common complaint with the wired Corsair gaming headsets – the wireless microphones work great. 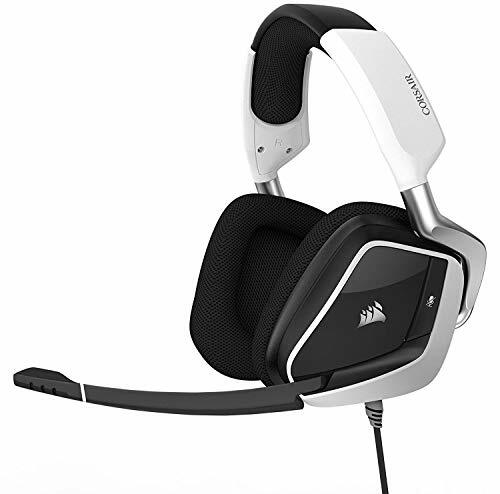 The third entry on our list is also the first genuine multi-platform compatible gaming headset. The ONIKUMA Gaming Headset features a genuine ergonomic design with soft memory foam ear muffs, a noise canceling microphone, and an immersive 7.1 Surround Sound. If you enjoy playing all of the latest gaming releases on a variety of systems, then this is definitely a solid choice for you. This ONIKUMA gaming headset has 4D virtual speaker displacement technology that offers an incredibly immersive 7.1 Surround Sound. It’s compatible with a wide variety of devices, meaning you’ll be able to use just one headset with your PC, PS4 Pro, Xbox One X, or Nintendo Switch. The noise-canceling microphone has a 360° pickup, ensuring crystal-clear communication. Above all else, this headset is designed to be as comfortable as possible, making it a good choice for those of you who like to enjoy the occasional gaming marathon. For the price that you pay for this headset, you’re getting a LOT of value. The audio quality is among the best we’ve ever heard in a budget headset and we’ve got no complaints with the mic. It’s also one of the most comfortable gaming headsets we’ve ever tested – even after a lengthy 4-hour gaming session, we still felt perfectly comfortable wearing them. While it’s great that the 3.5mm jack offers a wide variety of compatibility support, it’s disappointing that the USB port only works for powering the LED lighting and won’t work for the audio or microphone. However, it should be noted that the headset does include a splitter to attach to a PC. The next entry on our list is another incredibly affordable entry level gaming headset that delivers big on value. The GM-1 Gaming Headset by Beexcellent comes equipped with a 3.5mm jack, meaning it’s another great option for gamers who own a variety of gaming hardware. It’s also a rather lightweight headset with a soft skin-friendly leather design for the ear cups. The GM-1 is built with a high precision 40mm driver and skilled sound processing that offers a vivid audio experience with each and every gaming session. It also comes equipped with a noise canceling microphone, a 3.5mm jack that’s compatible with all current gen consoles, and a super soft and comfortable faux leather finish for the ear cups. Even though it’s a pretty lightweight headset with a plastic design, the GM-1 doesn’t feel like a cheap headset. The faux leather ear cups are quite comfortable as well. As far as the sound quality goes, you definitely get what you pay for with a $20 headset – but compared to other entry level options, the GM-1 certainly does offer quite a good audio experience. As with the previous headset on our list, the included USB port doesn’t actually do anything for audio or the mic – it only works the LED lighting, meaning you’ll need an adapter to use the headset for PC gaming. The G813 Gaming Headset by Supsoo is another great example of budget gaming accessories done right. The audio output and microphone quality of the G813 is far better than some of the other options out there that can cost more than double the price. For around $25 you’re getting a top-notch headset that will work with just about every device you can think of while offering some seriously impressive stereo sound. The G813 has a 3.5mm jack, meaning you can use it for everything from the Xbox One X all the way to the Nintendo 3DS. A high precision 40mm magnetic neodymium driver with precision acoustic positioning provide an incredibly immersive stereo sound experience. Meanwhile, the noise canceling microphone can pick up 360° sound with great sensitivity, removing background noise so you can communicate with your teammates clearly and concisely. The headset is also quite comfortable, with permeable ear cushions and a pliable headband. 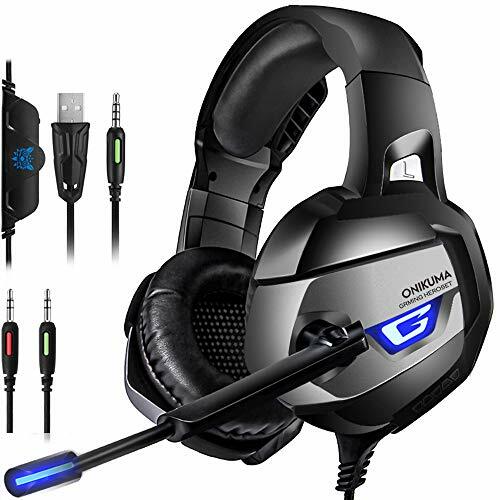 Far and away the best feature of the G813 Gaming Headset is the fact that it can provide you a near 5-star audio experience in an incredibly affordable package. While there are definitely better gaming headsets on the market, for far less than $100, the G813 is about as good as it gets for audio quality in its price range. There honestly aren’t too many negatives to be found with the G813. Supsoo have created a fantastic entry-level gaming headset that went above and beyond what you would expect. The only (minor) complaint we could make is that there’s no Surround Sound – but the high quality stereo sound output definitely doesn’t disappoint. RUNMUS makes a variety of gaming headsets to meet the specific needs of gamers, but it’s their K8 Gaming Headset in particular that has earned a spot on our list of the best gaming headsets under $100 of 2018. It checks all the right boxes by offering multi-platform compatibility, an ergonomic design, and a true Surround Sound effect. It does all of this while being sold at a price point that’s incredibly affordable for just about anyone. As you would expect from a company that puts out such a large variety of high quality gaming headsets, the K8 has tons of features that will make gamers happy. It has superior 50mm audio drivers combined with advanced audio techniques to deliver a true Surround Sound effect. The microphone is noise canceling and anti-static for crystal-clear communication even during the most frantic of Fortnite firefights. The lightweight, ergonomic design will keep you feeling comfortable while you’re enjoying those marathon gaming sessions. And whether you play on PS4, Xbox, Nintendo, or your PC or Mac, the K8 has you covered with compatibility. The K8 offers an excellent sound quality at a nearly unbeatable entry level price. We’ve seriously seen $200 headsets that don’t have this kind of audio quality. The only major negative that we could find with the K8 is that the cord length is rather long. It’s a minor complaint in the grand scheme of things, but we definitely had to rearrange the cord positioning more than a couple of times while using the headset with console gaming. 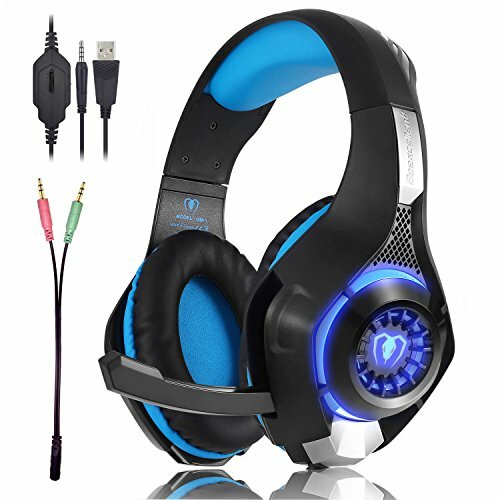 The final entry on our list of budget gaming headsets is this BlueFire Stereo Gaming Headset. 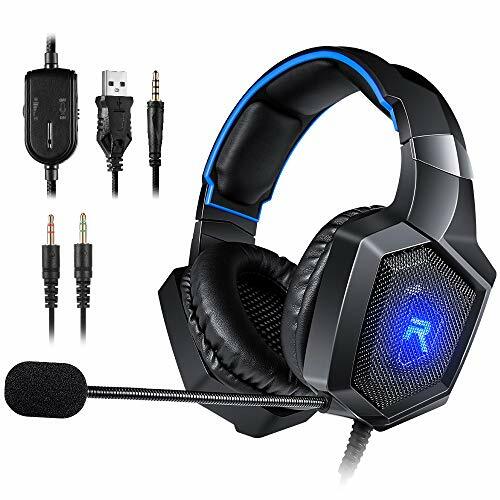 Available in multiple distinct color combinations with matching LED lights, this headset is also multi-platform compatible as well (although it’s been designed primarily with PS4 gamers in mind). Aside from its multi-platform compatibility, this headset features a high-precision 40mm magnetic driver that delivers awesome virtual Surround Sound that will leave you feeling like you’re right in the middle of the action. There’s plenty of padding on the headset as well for your comfort. The good news is that it’s also quite lightweight, meaning all that extra padding won’t feel too cumbersome. With easy to access volume control and a smooth microphone rounding things out, this is one budget gaming headset that’s definitely worth your time. As with most of the other headsets that made it onto this list, our biggest take away from using this BlueFire headset is how great the audio sounds, especially for such an entry level cost. For $20, you really can’t go wrong with this headset if you’re looking for bang for your buck. The only noticeable negative that we could find while testing this headset was that the audio cuts out a bit when you’re using it with an Xbox One. We didn’t have this problem with the PS4, Switch, or PC though. Audio cuts out at times when using with an Xbox One. When shopping for a new gaming headset, whether it’s for yourself or as a gift for someone, it can definitely be a little overwhelming trying to narrow down the best pick with all of the options out there. While we’ve already provided recommendations for seven fantastic gaming headsets that won’t break the bank in this article, we also thought it would be a good idea to briefly go over a few of the key features you should be looking for when making your purchasing decision. Do you focus solely on PC gaming, or do you enjoy a variety of games split between your computer, PS4, Xbox One, and Nintendo Switch? There are some headsets that are designed specifically for one console, while many headsets with a 3.5mm headphone jack will work with all of your devices. Whether or not you pick up a headset that’s wired or wireless is largely a matter of personal preference. While wireless headsets offer the greatest amount of flexibility, you’ll usually run into compatibility issues that you wouldn’t deal with if you opt for a wired option. A huge factor to consider is how comfortable your gaming headset will be. It doesn’t matter if a headset produces the best audio quality you’ve ever heard if it feels like there’s an angry cat sitting on top of your head. This is especially true if you enjoy prolonged gaming sessions that can last for several hours or more. Aside from these features, the audio quality of the headset is another thing that you should be placing a premium on. If you’re unsure of the difference between Surround Sound and stereo system setups, keep reading – we’ve got you covered with the answer to that question along with a couple of other common questions concerning gaming headsets. Even though all of the gaming headsets we’ve covered on this list are under $100, that can still be a rather steep investment for gaming hardware for many of our readers. If you’re wondering if it’s worth it for you, you’ll have to consider your own gaming needs. Do you play a lot of team-focused first person shooters? Do you usually game late at night when other members of your family are asleep? Are you constantly losing focus because of external distractions? These are just some of the questions you should be asking yourself. In nearly all cases, a quality gaming headset can greatly enhance your gaming experience instead of detracting from it. The superior audio quality, having the ability to communicate with your teammates, and being able to game in peace without disturbing your family members are all fantastic reasons to invest in a gaming headset. In order to answer this question, you first need to know that the speakers in gaming headsets are also referred to as the drivers. For stereo headsets, there are two channels created with a pair of drivers – one for each of the headset ear cups. On the other hand, Surround Sound almost always refers to 7.1 headsets – seven drivers plus a subwoofer. Since cramming seven drivers into a single headset isn’t always feasible, many companies instead use a virtual 7.1 sound by combining stereo sound with a few digital tricks to create the illusion of true Surround Sound. Just as we had you ask yourself a list of questions to determine if buying a gaming headset was the right choice for you, that same advice applies when trying to figure out what’s the most important feature to look for in a gaming headset. If you play a lot of team-focused games, you’ll want a headset with a good quality mic. Worried about waking up your significant other while gaming late at night? You’ll want to go with closed-back headphones to prevent internal noise from escaping. Just looking to immerse yourself in the atmosphere of the latest blockbuster release? Then you’ll want to place a premium on audio quality. It’s worth it to take a few moments to go over each of the headset reviews in this article to find the gaming headset with features that best line up with your specific needs. Otherwise, keep reading on to see what our top pick is for the best gaming headset of 2018. If you’re shopping for a new gaming headset that won’t break the bank, you really can’t go wrong with any of the products that we’ve covered in this comparison article. When it comes to recommending one of them for our best overall pick of 2018, it was actually quite a tough choice to narrow the list down even further. In the end though, we decided that the RUNMUS K8 Gaming Headset just provides so much value for the price that it was basically impossible not to give it the award. Again though, you can’t go wrong with any of these headsets. They’re all fantastic options for gamers on a budget that will help to fully immerse yourself in your favorite virtual worlds.